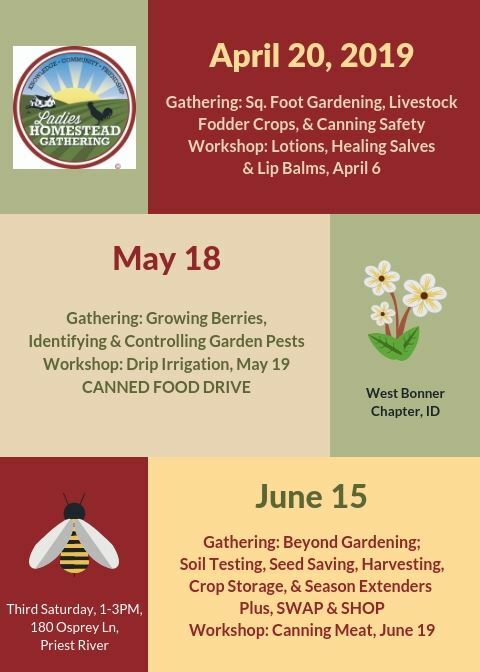 Welcome to the West Bonner County Chapter! We usually meet in Priest River at Trinity Baptist Church, 180 Osprey Lane, though location does change as needed, so confirm by email before arriving. Please email us at westbonnerid@nlhg.org to find about our Gatherings, Workshops and any upcoming special events! 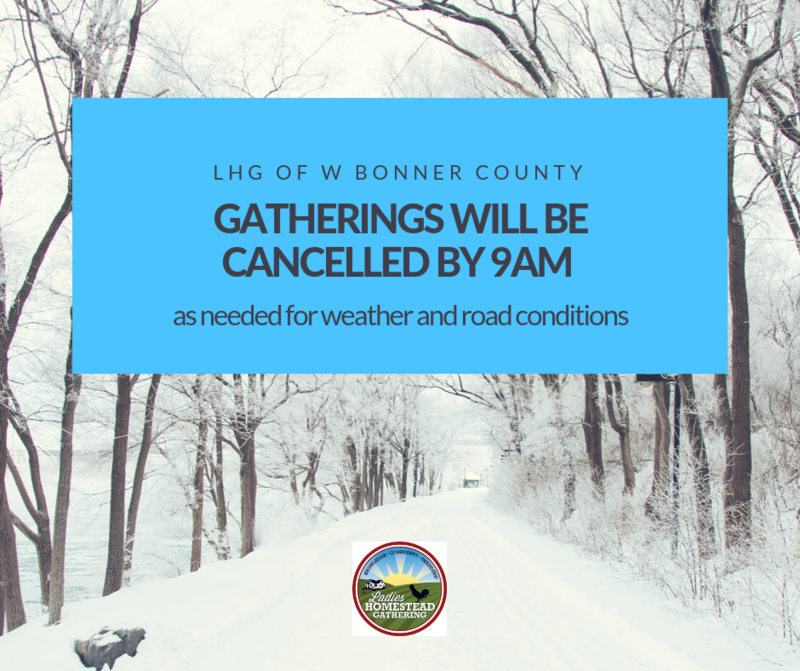 Cancellations for bad weather are posted on the Facebook Group "LHG of West Bonner County, ID".